Meet Hercules… Not the mighty Greek God, but a tiny pet hamster who is a small, fluffy, lazy little slob. Unimpressed with his sluggish new pet, Billy buys a power snack to put some hurry in his hamster. But then the huggable Hercules turns huge and begins to terrorise the town! 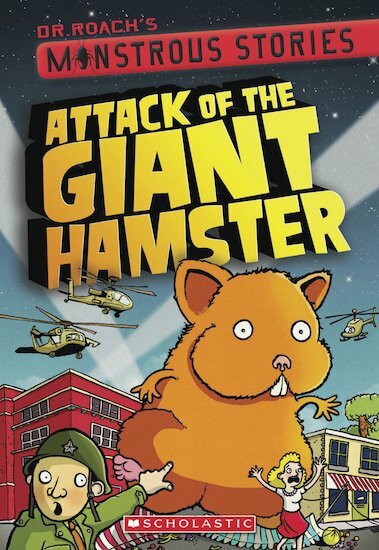 With a nibble here, and a munch there, suddenly the hamster’s causing havoc everywhere. The little fellow stomps through town, scares people and crushes cars in a monstrous story that’s as funny as it is fluffy. Light-hearted and exciting, this tale warns that you should be careful what you wish for, otherwise you might end up with one massive, hungry problem on your hands!